The Bill Warriner Floribunda is one of my very favorite roses. I refer to it as my blooming machine. It is rarely without bloom. 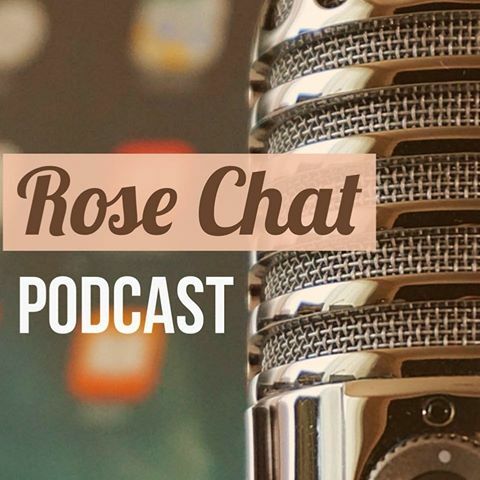 Bill Warriner was bred by Keith Zary of Jackson and Perkins in 1996 and named for the renowned rose breeder Bill Warriner who died of cancer in 1991. 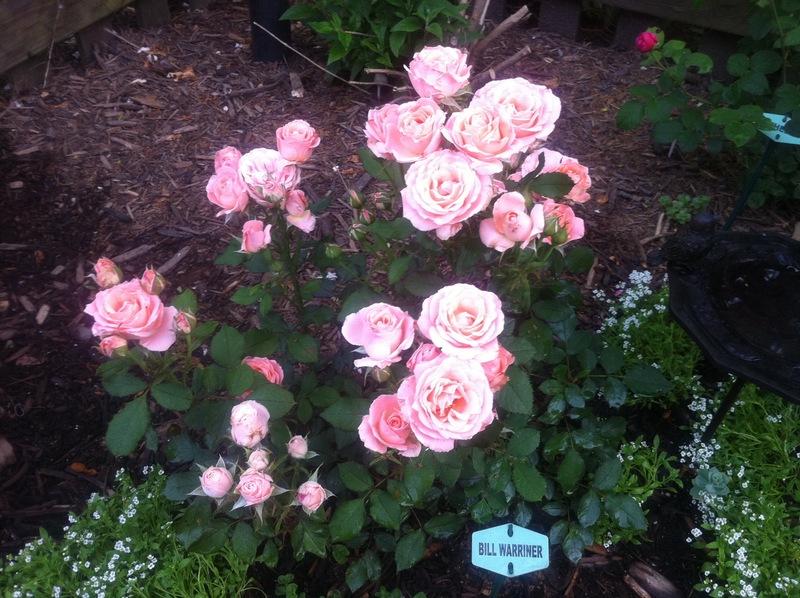 Other Bill Warriner roses are Simpliciy, Intrique, Love, Honor, Rio Samba and Tournament of Roses. My first Bill Warriner was planted in a bed that had the least amended soil in our garden and yet it flourished! After I saw what “Bill” could do, I moved him to a better location and bought 2 more. I love them. I am hoping I can find more. If you know of a company selling Bill Warriner roses, please let me know! 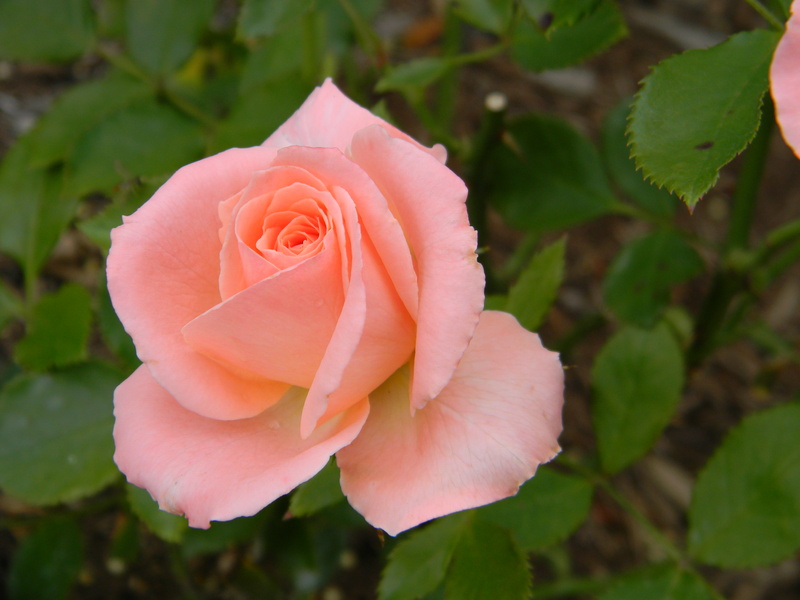 The color of this rose is a unique blend of apricot, orange and pink. It pairs very well with a vase of pink and yellow roses. 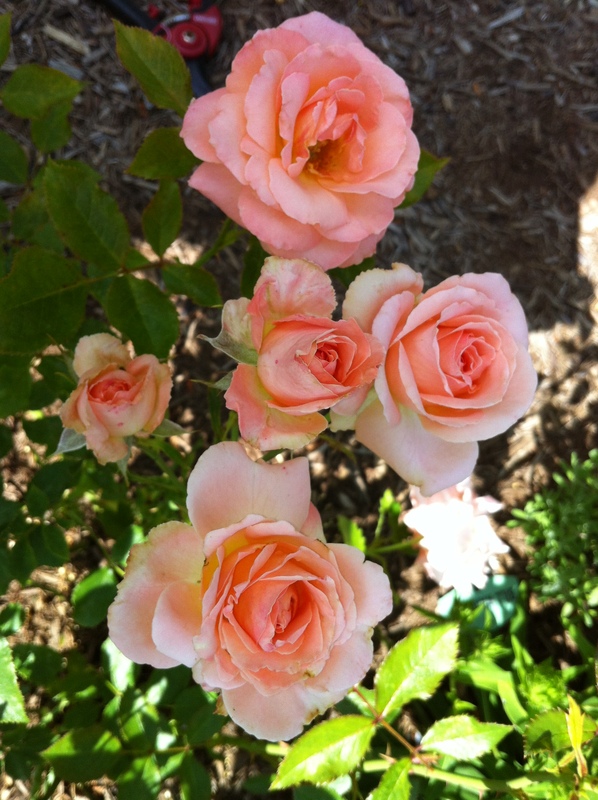 As you will see from the pictures, sometimes the blooms are more pink and sometimes they are more apricot/orange. 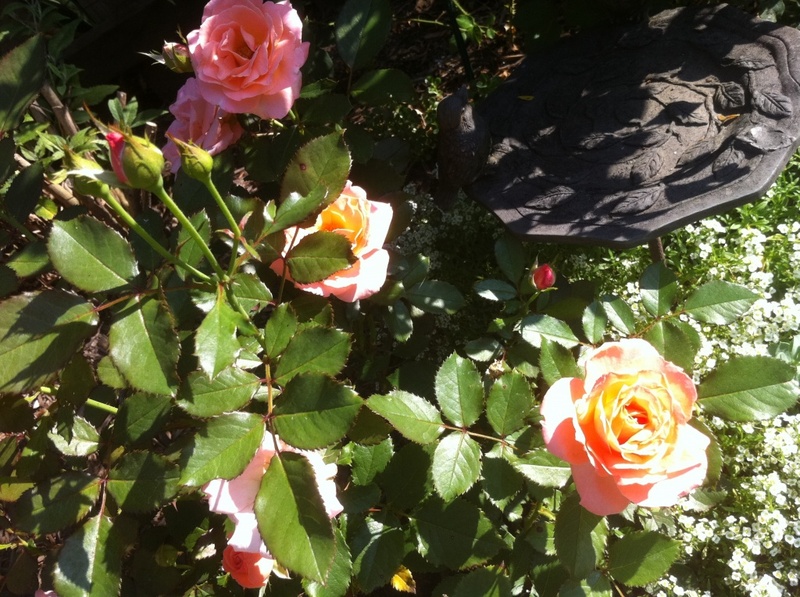 This rose is medium sized with a compact growth habit and most definitely passes my fragrance test … a lovely, sweet rose scent. I can see why you want more of those roses. You cheered me up about there only being 158 days until spring. Yahoo!